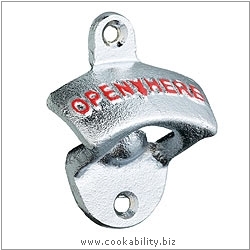 A metal wall mounted bottle opener. It will securely attached to any flat vertical surface using the two wall plugs and screws supplied. Drilling is, therefore, required.